Norman Gardner is the founder of the Company. He is the inventor of the Company’s core anti-counterfeiting technology. He served as Chairman and Chief Executive Officer from 1999-2013. Patrick White has worked in the security printing and identification industry for 15 years. He founded the publicly traded Document Security Systems, Inc. (NYSE MKT: DSS) in 2002 and served as Chief Executive Officer and a Director on their Board from 2002 to 2012. Under Mr. White's direction, Document Security Systems was named Technology Fast 500 which is a list published by Deloitte LLP for the fastest growing technology companies in the USA for five (2008-2012) consecutive years. As an inventor Mr. White has also been awarded 3 US patents for digital security technologies. During Mr. White’s tenure, DSS grew from 5 employees to more than 100 employees, with two secure data centers as well as manufacturing plants in San Francisco, CA; Rochester, NY; and Victor, NY. Under White’s direction, his previous company’s revenue grew year over year for 12 consecutive years. Mr. White, a forward-thinking, results-driven security technology industry executive, brings more than 20 years of private and public company operating, financial, accounting and management experience to VerifyMe. He has extensive experience building successful organizations by combining his expertise in strategic planning, business development, staffing, cost control, accounting, and financial system deployments. Mr. White has appeared with Liz Claman on her show, “Closing Bell” shown on the Fox Business News channel. White currently either serves or has served on the board of several technology companies. Previously, Mr. White has held executive and financial accounting positions at the predecessor banks which are now Citizens Bank, and has purchased, owned and operated several manufacturing companies. Mr. White was also a member of the U.S. Secret Services, Document Security Alliance which is tasked with recommending security technologies to protect the vital records of the U.S. and state governments. Marshall Geller is a Senior Advisor to St. Cloud, a Los Angeles-based private investment firm focused on providing growth capital to the lower-middle market. Mr. Geller is a member of the Investment Committee of St. Cloud. He has extensive experience initiating, arranging, and making investments in public and private companies. Mr. Geller spent over twenty years as Senior Managing Director for Bear, Stearns & Company, with oversight of all operations in Los Angeles, San Francisco, Chicago, Hong Kong, and the Far East. He currently serves on the Board of Directors of GP Strategies Corporation (NYSE:GPX); COR Securities Holdings, Inc.; and the UCLA Health System. Mr. Geller previously served on the Board of Directors of California Pizza Kitchen (NASDAQ:CPKI) and led the Special Committee to sell the company. He was previously the Interim Co-Chairman of Hexcel Corporation (NYSE:HXL) and Interim President and COO of Players International, Inc. Mr. Geller also serves as a member of the Board of Governors of Cedars-Sinai Medical Center, Los Angeles. Mr. Geller graduated from California State University, Los Angeles, with a BS in Business Administration, where he currently serves on the Dean’s Advisory Council for the College of Business & Economics. Mr. Geller also served as a Commissioner of the Little Hoover Commission, an independent California state oversight agency. Mr. Goldberg has served as a director of the Company since July 12, 2017. Mr. Goldberg was appointed to the Board for his experience with being a director of other public companies and his legal expertise. Mr. Goldberg served as a director of Winthrop Realty Trust from 2003 until August 2016. 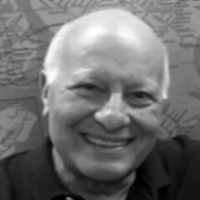 Mr. Goldberg currently serves as a trustee for Winthrop Realty Liquidating Trust. Mr. Goldberg has served as a director of New York REIT, Inc. since March 2017. He has been retired since 1994 after a long career as a lawyer. He provided consulting services to the Company through December 31, 2017. Eugene Robin, CFA is a Principal of Cove Street Capital, joining as the first hire in 2011. His primary focus is on the Small Cap and Micro Cap Value Strategies. Prior to Cove Street, Mr. Robin worked as an Associate at a multi-billion-dollar family office with responsibilities for sourcing and vetting private transactions, public investments and conducting financial analysis and planning for several private entities owned by the family. Mr. Robin also has experience working as a software engineer at ViaSat Inc., and holds an MBA in Finance from UCLA Anderson School of Management as well as a bachelor’s degree in Computer Science from UC San Diego.